Boulder Electric Vehicle is producing four CARB certified models: an Electric Delivery Van, a 15 Passenger Shuttle, a Service Body and a Flat Bed. All models are purpose-built and 100% electric. All models except the 15 passenger Shuttle are available today for order with a 150 day lead time from Purchase Order to ship date. All Models have the same specs and functionality. 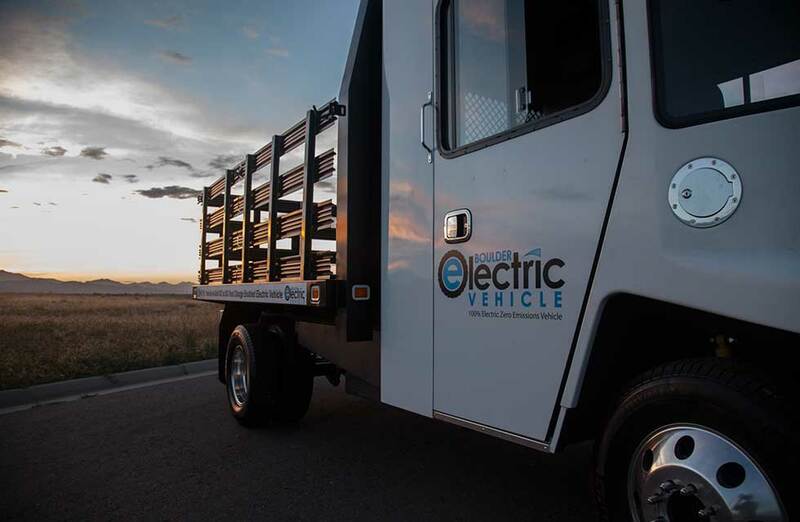 Introducing the revolutionary FB-500 Stake Side Truck from Boulder Electric Vehicle. Designed and engineered with the commercial fleet customer in mind, this work horse proves that it has never been more viable to operate cost effectively under electric power. The family of Boulder Electric Vehicles are built proudly in the USA. Customer vehicles have already been deployed and new units are available for 2013 delivery. Copyright © 2013 Boulder Electric Vehicle. All rights reserved.